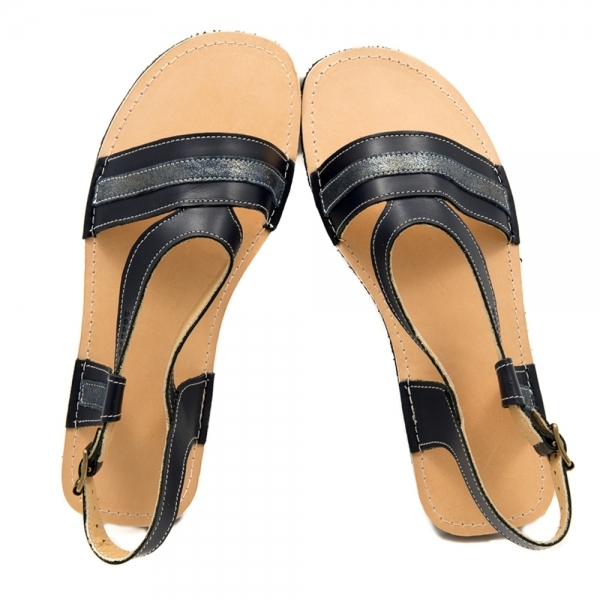 Indoor slippers with velcro strap fastening. Sizes EU 16/17 - 24. 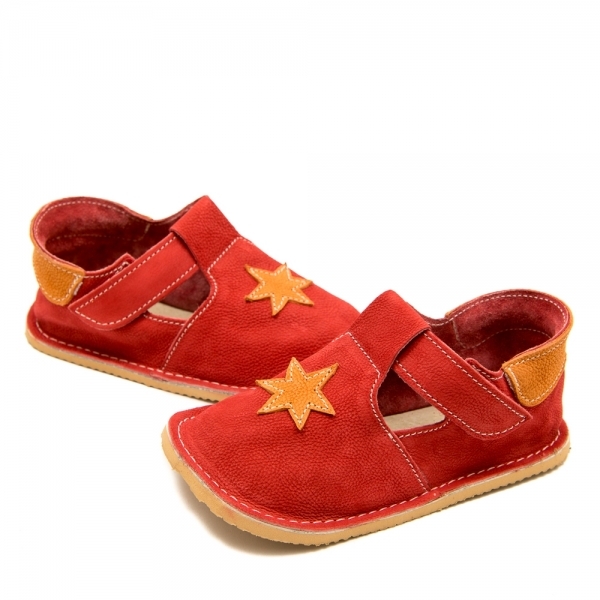 Our slippers gratify the needs of the grown baby feet making their first steps. 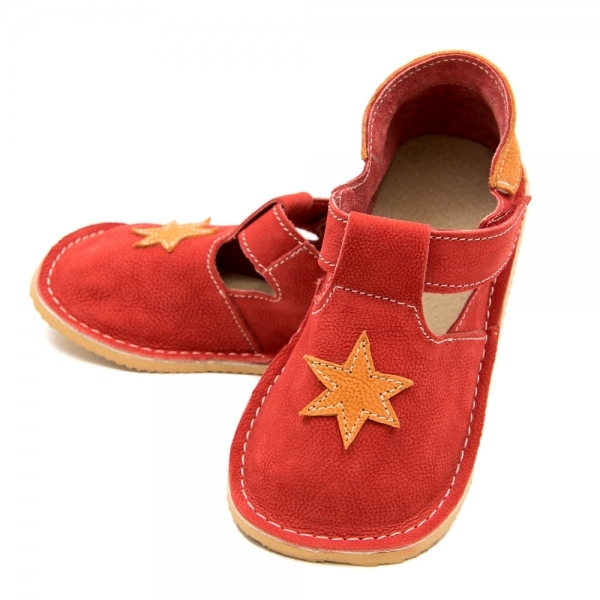 They are designed for toddlers - the flexible construction of the slipper whole are engineered to render a barefoot feeling as close as possible. 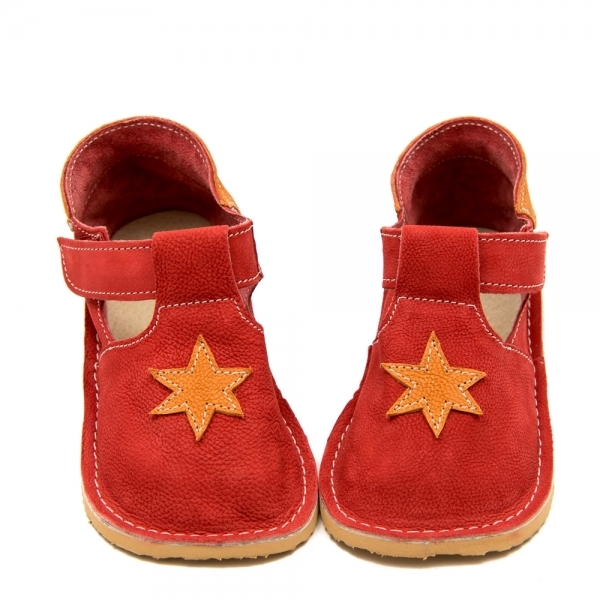 Toddler shoes must not limit the free movements of the growing baby feet, nor deform, press on and constrict them. 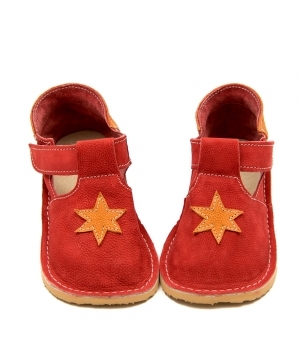 Our baby slippers may be used for walking, as well. - 2 mm thin microcellular rubber, flat, lightweight and very flexible. 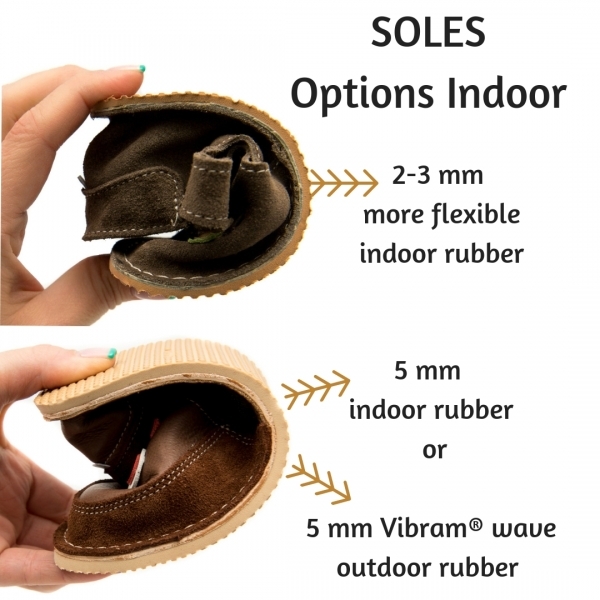 - 5 mm microcellular rubber, flat, lightweight and flexible - appropriate for kindergartens, where the child spends a lot of time, indoors. 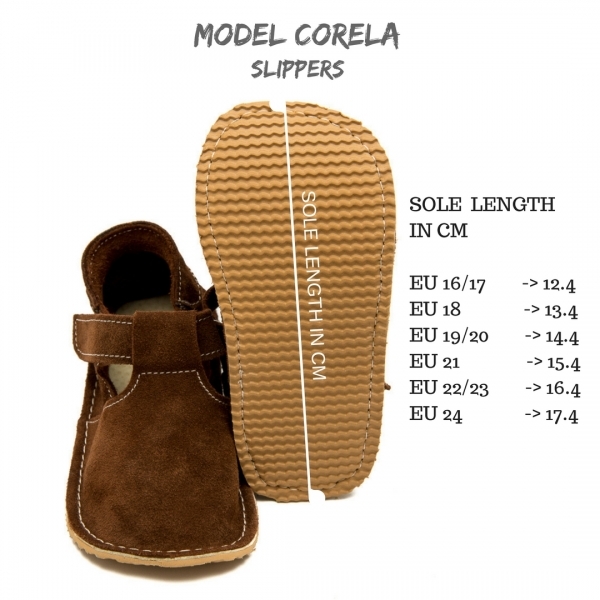 We can make a correction in the front leather part to correct the width of the shoes with +/- 1 cm., which currently we make by hand and we charge extra €5 for making the shoes narrow and €7 for wide shoes. You can add the extra charge here.